Rapidly changing situation in the global gas markets creates new challenges. Slow-down in the consumption rates of Asia provokes the reduction of the LPG import supplies, bringing the gas prices down. The experts of the International Energy Agency give the forecast of the gas industry growth rates in the Medium-Term Gas Market Report 2016, which summary is presented to our readers. Following a stagnation in 2014, global gas demand is estimated to have returned to growth in 2015. Expansion has remained well below the historical average, however: since 2012, global gas demand has increased by just 1.0% a year, much slower than the ten-year average of 2.2%. This report forecasts demand to reach 3.9 trillion cubic metres in 2021, increasing at an average annual rate of 1.5%, equivalent to an incremental 340 bcm between 2015 and 2021. Slower primary energy demand growth and the decline in the energy intensity of the world economy are lessening demand growth for all fossil fuels, including gas. The energy transformation in the People’s Republic of China (hereafter “China”) and subdued economic growth in advanced economies are creating headwinds against energy demand in general. Low fossil fuel prices have so far failed to compensate for them. Slowing primary energy demand growth means that the share of gas in the world’s energy mix will still increase marginally over the next five years, despite slower global gas demand growth. Particularly in the power sector, there are factors that are constraining the ability of gas to expand more quickly in spite of low prices. In Asia – where the fall in gas prices has been the most dramatic – gas demand growth has weakened considerably. The absence of a direct link between demand and prices suggests that other factors have offset the impact of cheap gas. As the International Energy Agency (IEA) warned in the Medium-Term Gas Market Report 2015, it is difficult for gas to compete in a world of very cheap coal, falling costs and continued policy support of renewables. While low fossil fuel prices raise the risk of weakening policy support for renewables, there is little evidence that this is occurring thus far. As coal remains cheaper to dispatch, and renewable deployment is little affected by the drop in fossil fuel prices, gas demand has remained weak. exhausting coal-to-gas switching potential – increases in gas-fired generation from 2015 levels will be limited to the need to replace some of the coal capacity that retires. As a result, the IEA expects US gas-fired generation to stagnate, with risks skewed to the downside. In 2015, Chinese demand growth decelerated sharply to a rate estimated around 4%. By comparison, growth averaged 15% between 2009 and 2014. While some of the weakness is likely to persist over the medium term since it stems from slower economic activity, the slowdown last year was magnified by temporary factors. Unlike oil, domestic gas prices did not quickly adjust to reflect the fall in international benchmarks. The result was a big loss of competitiveness for gas and a broadbased substitution towards oil products in the industrial sector. With global oil prices bottoming out and domestic gas prices closing the gap to international benchmarks, industrial gas demand should recover going forward. Market sentiment towards China might also have turned too pessimistic: while industrial activity is slowing, Chinese gas demand is poised to benefit from ongoing efforts to diversify away from coal and address local air quality. Gas-fired generation keeps expanding robustly in spite of stagnant growth in electricity generation, reflecting the government’s efforts to increase gas’s share in the country’s energy mix. As the experience of Beijing shows – with natural gas demand doubling since 2010 – tightening environmental regulations can have a large positive impact on gas usage. Ample supply availability should facilitate coal-to-gas substitution, helping support average growth in the region of 9%. The outlook for China is by no means certain, however; on the contrary it is the largest demand-side risk to the forecast. As the country’s economic and energy transformation deepens, assessing the interaction of slower industrial activity and more stringent environmental policy becomes a particularly difficult task. Should the implementation of environmental policies be slower than expected, the expansion in Chinese gas demand would also be much slower; were gas demand growth in China to stabilise at 2015 levels, there would be no need for incremental imports throughout the end of the decade. In this case, the oversupply in global gas markets would extend well into the 2020s. In India, gas demand is set to grow robustly, at an annual average rate of almost 6% over the forecast period of this report. The increase marks an important turning point for the country’s gas sector, which suffered demand declines in recent years amid falling domestic production and very high LNG import prices. The recent sharp fall in international benchmarks in conjunction with significant revisions to domestic pricing policies and continued gradual progress in building out gas infrastructure should help drive demand growth in this highly price-sensitive market. In the Middle East, cheaper oil prices and slower economic activity lower the underlying trajectory for gas demand in both the electricity and industrial sector. At an aggregate level, however, the key challenge for the region remains on the supply side with several countries struggling to lift production adequately to meet underlying demand growth. While generation growth remains weak and renewables deployment continues – although at a lower speed – retiring coal and nuclear capacity will relieve some pressure on gas-fired generators. This will leave some space for a return of gas-fired generation; exactly how much will depend on both relative prices and progress towards further integration of the European power system. Gas demand is projected to increase very modestly, with small increases in the power sector offsetting small declines for residential and commercial. As the refurbishment of the building stock is still happening at a very slow pace, the impact of energy efficiency on gas demand is therefore likely to be relatively low within the time frame of this report. Weak demand, low prices and a sharp cutback in investments result in slower growth in global gas production over the time horizon of the report. In the United States, production is expected to remain relatively flat across 2016 and 2017, pressured by a fall in output of associated gas and much slower growth elsewhere. Given the drastic fall in both oil and gas prices, stagnation in output must be looked at as a remarkable achievement and a testament to the technological and financial resilience of the US shale industry. The IEA expects that the oil market will be close to balance in the second half of 2016, and in 2017 it will be in balance. This should help gas production growth resume, as gradually recovering oil prices improve the economics of associated/wet gas. Large cost reductions achieved during the downturn will allow drilling activity to come back at lower prices than before. Overall, between 2015 and 2021, US gas production is forecast to increase by more than 100 billion cubic metres (bcm), accounting for one-third of global incremental production. Production growth from Russia and the Caspian region – the world’s largest exporting region – slows to half the level recorded between 2009 and 2015. Weak demand in Europe and slower consumption growth in China – the two key export outlets for Russian and Caspian volumes – weigh on the region’s production outlook. Abundant supplies of liquefied natural gas (LNG) lead to strong competition among producers: ample spare regasification capacity allows both Europe and China to arbitrage between pipeline gas and LNG based on pricing. In Europe, global gas balances point to a stark change in Gazprom’s operating environment. 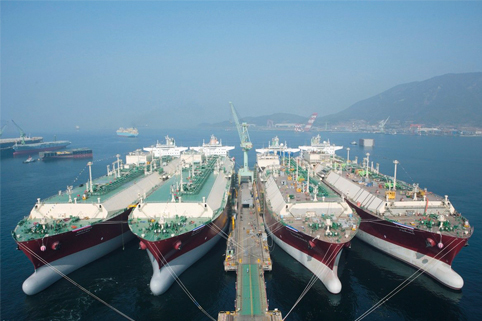 Oversupply in global LNG markets will lead to fierce competition, with flexible US and Qatari volumes set to fight hard to gain access to European customers. The past 12 months have brought signs that Gazprom might be opting for a more flexible marketing approach. For the company to achieve its stated strategy of maintaining market share in Europe, it will need to adopt a more competitive pricing mechanism than in the past. The process of market rebalancing is likely to take longer for gas than for oil. While the IEA expects global oil markets to start rebalancing in 2017, it does not foresee oversupply in traded gas markets improving meaningfully before the end of the decade. Gas is faced with the twin challenge of a large wave of price-inelastic supplies coming on line – the result of investment decisions taken when oil and gas prices were much higher – and structural changes on the demand side, mainly in the power sector. These issues weigh on the degree of demand responsiveness to low prices. Slower generation growth, rock-bottom coal prices and robust deployment of renewables constrain gas’s ability to grow faster in today’s low-price environment. Reversing a long-standing trend, gas usage in power is projected to grow more slowly than total demand; its share of incremental demand falls to one-third compared with almost half between 2009 and 2015. Global LNG export capacity is forecast to increase by 45% between 2015 and 2021, 90% of which originates from the United States and Australia. Almost all of the projected increase comes from investment decisions already taken. A substantial amount of capital has already been allocated for these projects, many of which are at an advanced stage of development and backed by long-term contracts. Today’s low prices, therefore, will have little impact on the execution of these projects. Barring any significant supply disruption, markets will struggle to absorb these incremental supplies. Europe’s flexibility to take in additional LNG is limited by slow demand growth, cheap coal, and competitive Russian supplies. Demand in Japan and Korea – which today account for almost 50% of global LNG imports – is forecast to stagnate or even decline sharply depending on the scale of nuclear comeback in Japan. Latin America and the Middle East offer pockets of growth, but neither of these regions is a natural home market for base-load LNG imports. It is therefore clear that the trajectory of global gas markets – and how fast they rebalance – will depend on the scale of expansion in China and the rest of developing Asia. The region has potential for large growth in demand, but unlocking it requires progress on market and environmental regulation. A period of low prices could facilitate this task. It should also enable the build-out of new import infrastructure in regions with no or limited access to supplies. By 2021, LNG imports among developing Asian economies (including China) are forecast to increase by more than100 bcm. Despite this growth, projected demand is not sufficient to balance the market, particularly during 2017 and 2018. As a result, global LNG export infrastructure will need to run below capacity. Utilisation is expected to recover by the end of the forecast period, but it is unlikely to reach the high levels of 2011-12. As spot prices remain under pressure, buyers will search for better pricing and non-pricing terms from sellers. Moreover, with oil markets expected to rebalance before gas markets do, renewed pressure to move towards hub pricing and reduce oil exposure in long-term contracts will likely reemerge before the end of the decade. How producers will respond to that challenge remains to be seen. Weaker-than-expected demand in Asia – which led to a rare contraction in regional LNG imports in 2015 – is leaving several large Asian LNG buyers over-contracted. Players that used to be spot buyers are now entering the spot market on the selling side as well. As buyers face the need to readjust purchased volumes to lower demand levels, they are looking for increased flexibility to resell cargoes or to take in lower volumes. Renegotiation of some contracts is inevitable, as is wellillustrated by the landmark renegotiation of the long-term contract between India’s state-owned Petronet and Qatargas last year. For new contracts, this report expects a growing tendency for shorter durations, full destination flexibility and lower oil price slopes. After a four-year period (2011 to 2014) that saw around 35 bcm of LNG export capacity taking final investment decisions annually, 2015 saw a slowdown in new investment decisions, which totaled around 25 bcm. Notably, the bulk of new capacity sanctioned last year is underpinned by long-term contracts signed well ahead of the fall in oil prices. Consequently, it is only in 2016 that the true impact of falling prices on LNG investment is finally emerging: almost halfway through the year, no new export project has been sanctioned. Until gas demand picks up and prices recover, new investments in liquefaction capacity are set to remain low. Today’s oversupply stems from legacy investment decisions that were made based on much stronger gas demand assumptions and prices. While these investments provide a supply buffer through temporary excess supplies, they are a source of disappointing returns for shareholders and they are not the result of gas supply security policies. Diversification of gas supplies – and LNG in particular – from countries such as Australia and the United States provide major supply security benefits for consumers. However, gas supply risks remain substantial. Close to 15% of LNG capacity globally is estimated to be unavailable today, due to outages, security concerns or lack of feed gas. These problems risk getting worse with low oil and gas prices, as supply stability in countries dependent on oil and gas revenues might become a concern, while falling upstream investments could exacerbate feed-gas issues. As a result, concerns about gas supply security could reappear on the horizon before the end of our forecast period. Over the past two years, weakening fundamentals and much lower oil prices have resulted not only in lower gas prices but also in strong convergence across regional benchmarks. In the first five months of 2016, the average differential between Asian LNG spot prices and US prices was just USD 2.5/MBtu – a far cry from the average spread of around USD 11/MBtu that had prevailed between 2011 and 2014. Well-supplied gas markets are set to keep global spot prices under pressure over the next few years while the emergence of large quantities of flexible LNG supplies from the United States is set to maintain a close link between North American prices and spot gas prices in other regions. In the United States, prices are likely to recover from their 2015 lows as domestic demand needs and a steep ramp up in exports will require continued robust production growth. In Asia gas prices will remain influenced by the oil price level. Yet, a period of oversupply coupled with increasingly flexible LNG markets is expected to gradually lessen such linkage.